This month, Cohorted* sent me over the November edition of their Black Edition Beauty Box* to review as my first ever Cohorted* unboxing on TKL. How exciting, right? The Black Edition Box is a luxury beauty and skincare box that promises to be filled with all sorts of magical products from the more high end brands on the market. The box retails for £35.00 and this price does include delivery, so you don’t need to take into account any unexpected extra charges. PS. 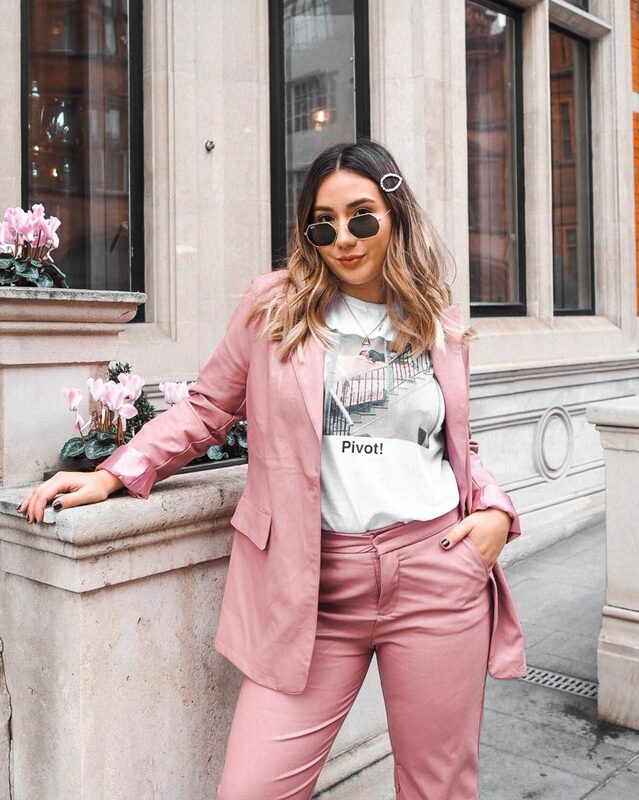 It sells out every month, so this one has already completely gone – Apologies in advance! Even if you do fall head over heels for this box, you can still subscribe to the monthly box and receive the December one next month. If you’re really curious, have a peek at their Previous Boxes for a little Cohorted* box inspo. Plus, it’s good to know that you’re free to cancel your subscription at any time, just like other monthly beauty boxes – yaaaas! 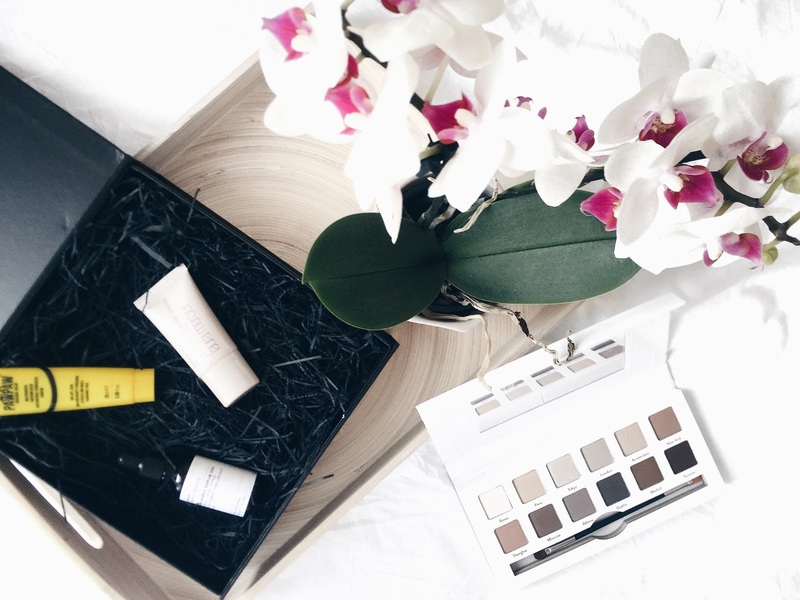 The Black Edition Box is everything that a luxury beauty box should look like – Sleek, chic, and classic. 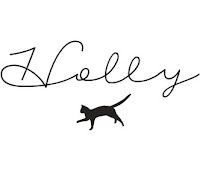 I’m a sucker for the square, black box design – and the little bow adds a little something, something. I’m totally keeping mine to store away beauty bits without compromising on monochromatic interior yummy-ness. 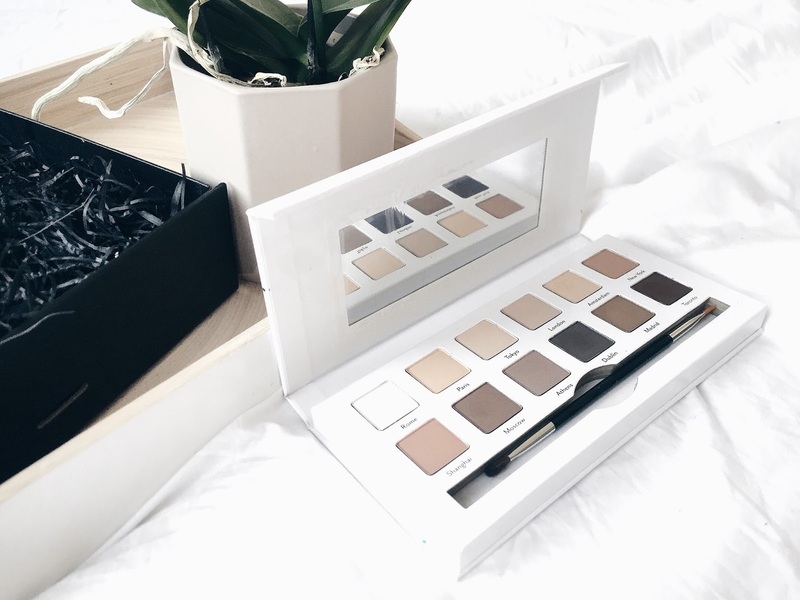 I was super excited to spot a full-sized eye shadow palette inside this month’s box (who wouldn’t be, right?) as Cohorted are pretty well known for throwing in a palette every now and again – Lucky me! Although the shades are a bit same samey, the texture of these shadows definitely differ when swatches, with some a little more powdery than others. 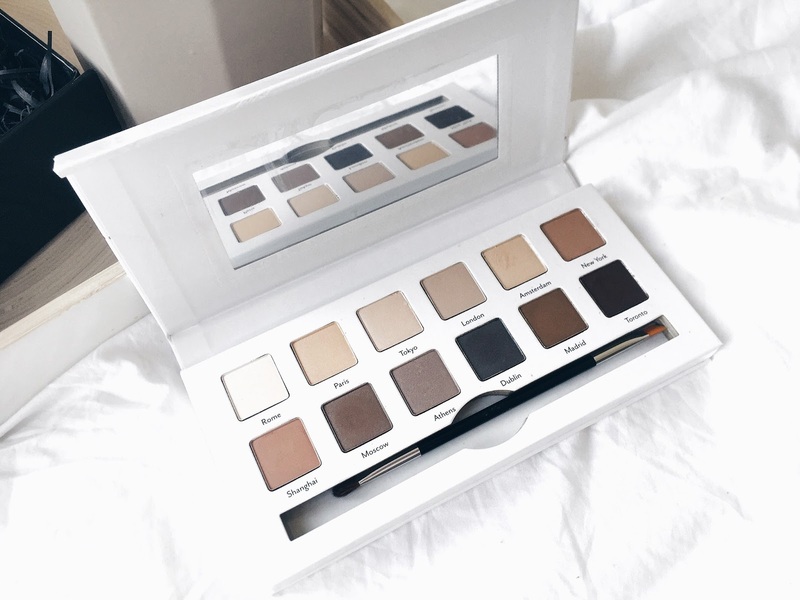 Amsterdam, Shanghai, and Moscow are definitely my shade faves, but this palette is a perfect combo of neutral shades to enhance my collection. Unfortunately, this is currently on sale for the equivalent of approximately £20.00, which does reduce the value of the box as the current price just doesn’t reflect that! Even though I wouldn’t exactly call this a “high end” brand, I am so happy to see this in the November box. 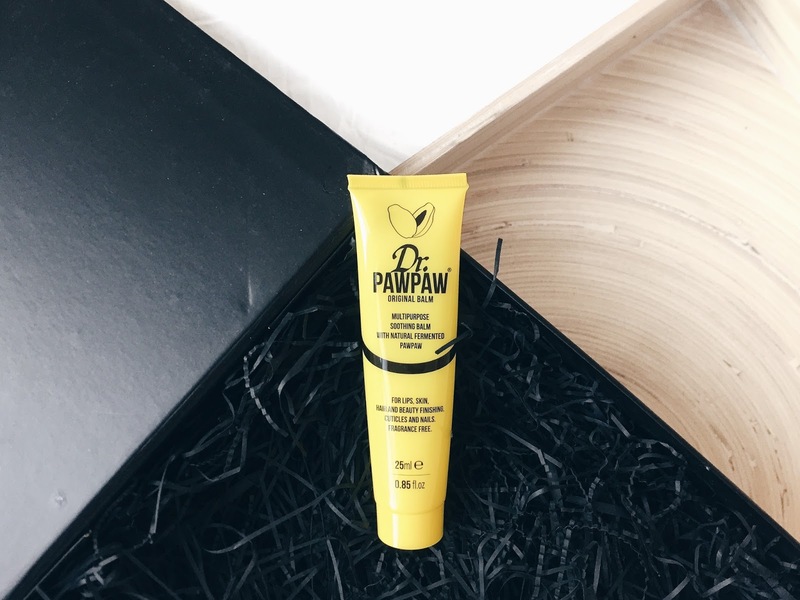 I’ve always wanted to try a Dr. PAWPAW product since there is so much hype around the brand in the blogger/vlogger community. This product is the full sized original balm that can be used on lips, skin, hair, and nails – jeeeeez. That’s a lot of use in one product. Bit gutted about the fact that this version is actually Fragrance Free, as I do love a good fragranced balm. I really can’t wait to try this one out – Thanks, Cohorted! 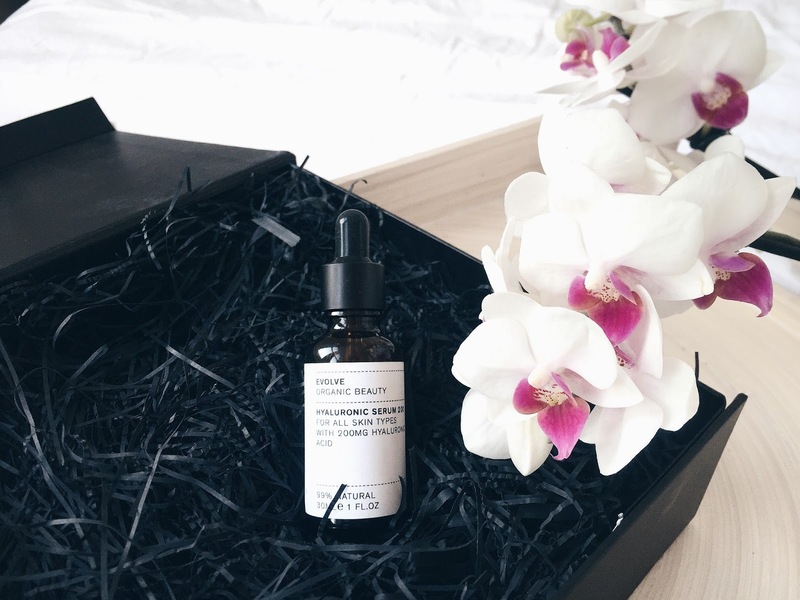 Even though I don’t often use serums, I have been stocking up for the winter months – as my skin has definitely become a little more dry and tired looking. As I have oily skin usually, my skin is getting pretty damn confused by the weather. 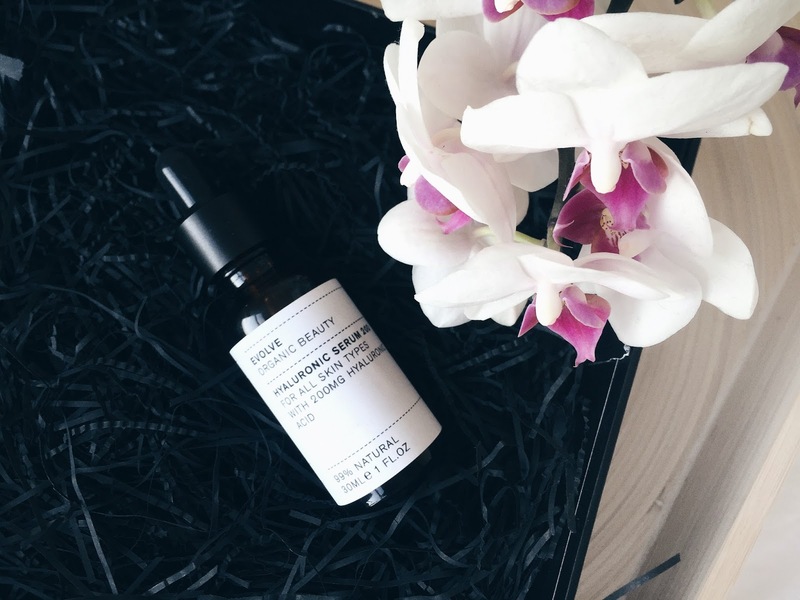 Which is the perfect excuse to whip out a great serum to get my skin back on track. 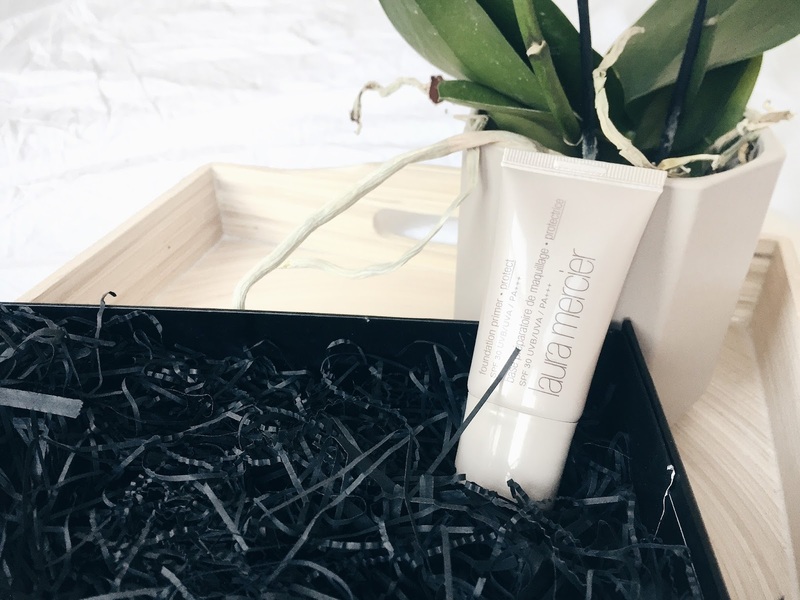 Apparently the Hyaluronic Acid contained in this product can hold up to 1000 times it’s weight in water, making it an excellent moisturiser – I can’t wait to give this a go on my dry spots this season! I’m honestly not sure if I’m going to fully enjoy this one as it is a tad bit on the moisturising side which doesn’t always go down well with my combo/oily blemish-prone skin. However, I did try out the Laura Mercier Oil-Free Primer* a few weeks ago, and absolutely fell in love with it. I am such an advocate for wearing SPF everyday (bye-bye, premature wrinkles) and this formula isn’t greasy like sunscreen at all. It dries to a dewy, smooth finish which leaves the skin baby soft. I’m a bit ??? at the fact that the booklet claims that this product is worth £29.00 when after a bit of researching around, I found this to be the price for the full sized 50ml version. Although this is a very generously sized sample of 30ml, it is only worth £17.00. I think that this is such a great beauty box if you enjoy high priced luxury beauty brands, and like to treat yo’ self. I 100% fit into that category, obvz – and I would definitely be guaranteed to get excited about receiving a mystery box full of $$$ goodies every month. Obviously, getting 4/5 products from well known brands for £35.00 is a right bargain for someone like me. But it’s also a great option for someone with less experience with high end brands, to give them a try. Or you can even buy a subscription as a gift for someone special! 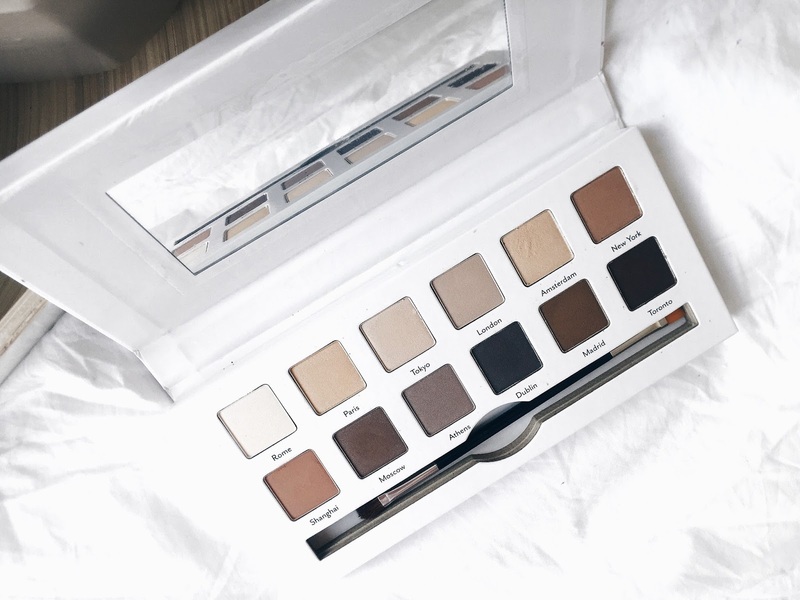 Cohorted claims that this box has a value of £98.95, however with the deductions for the sample size product and palette currently on sale – the November Black Edition Box has a more accurate value of £71.95. Aaaand it’s still an absolute bargain! Is it worth it? Totally. If you are really into high end makeup, this could be such a fun box to treat yourself to every month. Rest assured, you’re going to recieve products from excellent brands. Which of these products would you love to receive in a month’s beauty box? Next Post PMS? It Is A Big Deal!